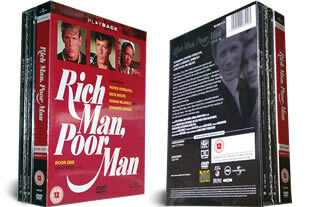 Rich Man Poor Man DVD Set. Containing every episode made from series 1-2 on 9 dvd's. DELIVERED FREE IN THE UK. Please note this is 2 individual box sets making up the complete series. Following the 2 very different lives of brothers Rudy and Tom. The two poor German immigrant brothers post war 1945-1960. Rudy becomes a great businessman making himself rich in the process, while Tom has to struggle to make ends meet. The series became a smash hit. 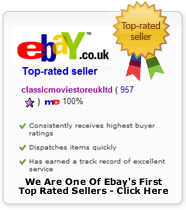 9 DVD double box set delivered to your door. Great box set! Good price. Super fast delivery, great quality. Happy with purchase. Thank you.